Every now and again there comes a series that captures our sartorial attention. Currently, that show is Peaky Blinders. The grey undertones of the series does well to match the monochromatic outfits of the characters. 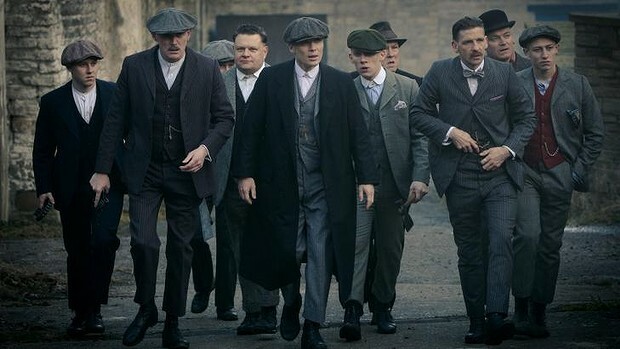 Simple, dark colors never go out of style which is why the looks in Peaky Blinders can successfully be pulled off today, nearly 100 years later. We currently are really loving the short pant/boot combo. This is a great way to look effortlessly cool like the Shelbys. Collars buttoned all the way up without neckwear? Some say hipster, we say awesome! What do you think about the outfits in this series? Love it? Hate it? Tell us why in the comments section below!